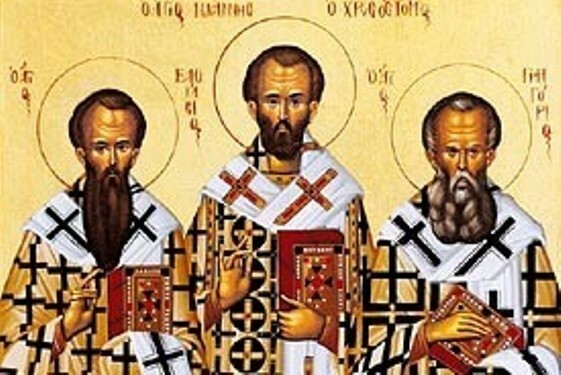 In reading church history, I came across the stories about the significant men of the fourth century, namely, Emperor Julian the Apostate; Bishop Athanasius of Alexandria; and the Great Cappadocian Fathers, Basil the Great, Gregory of Nyssa and Gregory of Nazianzus. Julian’s father was a half-brother of Constantine, and therefore Julian was a first cousin to the three emperors, the surviving sons of Constantine, namely: Constantine II, Constans and Constantius II. Sometime thereafter, Constantius became the sole emperor of the Empire. Because Consantius had no children who could aid him in government, he decided to call on his cousin Gallus and gave him the title of “caesar,” that is, of junior emperor as the emperor then was called “augustus.” As rumors spread that Gallus was conspiring against Constantius, the latter had the former arrested and beheaded just a few years after having made him caesar. Constantius then decided to set aside the bad experience with Gallus and called his one surviving relative to share his power and giving him the title of caesar and appointing him to rule in Gaul. Unexpectedly, Julian, who had spent his life among books and philosophers, became a great ruler but Constantius gave him little support. When Constantius suddenly died prior to marching against Julian, the latter had no difficulty in marching to Constantinople and claiming the rule of the whole empire. Although baptized and raised a Christian, Julian sought both to restore the lost glory of paganism and to impede the progress of Christianity. This religious policy earned him the title by which history knows him: “the Apostate.” Rather than persecuting Christians, Julian followed a two-pronged policy of hindering their progress and ridiculing them. He even wrote a work Against the Galileans. Despite his animosity towards Christianity, Julian applied what he learned therefrom in reinvigorating paganism, including the adoption of the clergy hierarchy similar to that which was observed by the church at that time. As he was moving along in enforcing his anti-Christian policies, he died unexpectedly. The next great figure of antiquity was Athanasius of Alexandria. Athanasius is well known because of his significant contribution during the Council of Nicea. Being so dark and short, his enemies called him “the black dwarf.” Although the time and place of his birth are not known, it is assumed that he was Coptic in ethnicity due to the language that he spoke and his complexion. Therefore, he was a member of the lower classes in Egypt. After the Council of Nicea in A.D. 325, most people thought that the Arian problem has been finally dealt with. However, not long after the death of Constantine did the Arians regain supremacy due to the influence of the new emperor, Constantius II who was himself a staunch supporter of Arianism. As a convinced Arian, Emperor Constantius felt the need to rid himself of the champion of the Nicene faith. Instead of banishing Athanasius, by the use of force, Constantius ordered a synod to condemn Athanasius. Athanasius took refuge among the monks of the desert to whom he had a close relationship. Although Athanasius never saw the final victory of the cause to which he devoted his life, his writings clearly show that he was convinced that in the end Arianism would be defeated. As he approached his old age, he saw emerge around himself a new generation of theologians devoted to the same cause. Most remarkable among these were the Great Cappadocians, to whom we now turn our attention. In Annesi, Basil and his friend, the other Cappadocian Father and later Patriarch of Constantinople, Gregory of Nazianzus, founded a community of men similar to the one Macrina had founded for women. They believed that the core of monastic life is service to others; hence, the necessity of community life for one who lives alone has no one to serve. Basil also wrote rules to be followed in the monastic life.